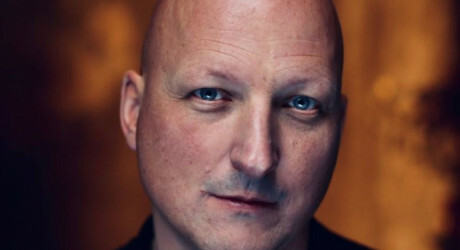 DAN Reed, the award-winning director and producer behind the recent headline-grabbing Michael Jackson documentary, Leaving Neverland, is joining the Edinburgh TV Festival line-up, it was announced today (WED). Reed (pictured) will join a panel including other leading filmmakers, to look at the future of factual, and the renewed appetite for high-quality, feature documentaries with global appeal. Meanwhile, to mark the 20th anniversary of Queer as Folk – one of television’s most ground-breaking dramas, writer Russell T Davies and executive producer Nicola Shindler, join an exclusive masterclass at the festival. It was the show that broke the mould. It was 1999 and Channel 4 broadcast the story of three gay men living in Manchester, and things were never the same again. In this session, multi-award-winning writer Davies and Shindler, founder of Red Production Company and CEO of StudioCanal UK, will join a panel of stars to discuss their collaboration on Queer as Folk, what it meant to them, the genesis of the show and the impact it had. The panel will consider how the television landscape has changed in terms of LGBTQ+ representation over the last two decades and how an unassuming eight-part drama became a global phenomenon. As a festival and a charity, the Edinburgh Television Festival is committed to helping young people from all backgrounds gain access to the TV Industry. It runs two young talent schemes, Ones to Watch and The Network. Both schemes aim to ensure that the people working in television are as diverse as the audience watching it. For more press information please contact Plank PR on 020 8995 3936. MEDIA RELEASE issued by Plank PR. You too can share your stories (aka press or media releases), on this site. Email here for more information. Check out too twitter.com/allMediaNews, twitter.com/allEdinburghPR and twitter.com/allFestivalsPR.